Springs Preserve is an oasis in the desert situated about three miles west of downtown Las Vegas, Nevada. Founded on the homeland of ancient tribes and Spanish travelers it is now a 180-acre piece of land with cultural and historical attraction sites. 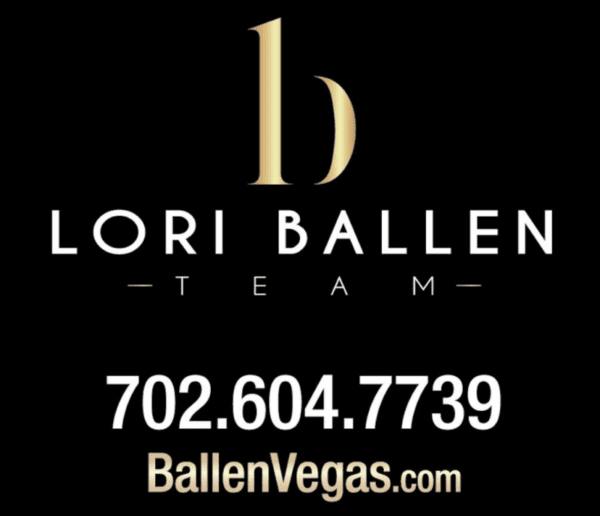 Click to See Just Listed Homes in Las Vegas with a Map! Offering contemporary exhibits, galleries, wetland areas, walking trails, live animal shows, and botanical gardens, it is a great way to get in touch with nature and discover the true beauty and rocky landscape of the oasis while also enlightening visitors about Las Vegas rich heritage. The huge Nevada State Museum is also situated on the Springs Preserve grounds. The Springs Preserve is managed by the Las Vegas Valley Water District, the agency that promotes conservation and manages the town’s water. The Springs Preserve hosts several annual special events tied into holidays, seasons and cultural celebrations. The Las Vegas Springs Reserve encompasses 180 acres that feature museums, galleries, and botanical gardens that literally burst with color in the spring. The Springs Preserve also hosts a year-long calendar of fun and educational outdoor events, and an interpretive system of trails through a scenic wetland habitat.The Las Vegas Springs Preserve was named the “Best Place to Take the Kids in Southern Nevada” by Nevada Magazine and the “Best Place to Take Out-of-Town Guests” by the Las Vegas Review-Journal. It was listed on the National Register of Historic Places in 1978 and opened for public viewing and experience in June 2007. The preserve is open daily from 10:00 a.m. to 4:00 p.m. and the Nevada State Museum is open Thursday through Monday from 10 a.m. to 6 p.m. This is a special event held daily from 9 am to 4:30 pm throughout the year. It allows children to break and open their geode to discover the amazing treasures inside. Kids have lots of fun cracking these natural wonders and even get more excited finding out the beautiful crystal formations and minerals inside the geodes. The Crack, a Jumbo Geode event, is held at the Nature Exchange and Springs Preserve provides all the necessary tools. Interact and get inspired by mathematics exhibitions. Explore the world of math that brings the real math behind children activities. It is held from February to May at 9 am to 5 pm at the Origen Museum. Admission is free for Springs Preserve members or with paid general admission. Both kids and adults can ride 4-D snowboards, design a custom-made skateboard, design their video games, take their images in 360 degrees, participate in a fractal dance party, operate simulations of NASA’s latest robotics, test their bridge-building skills, and design the infrastructure for an ecologically sustainable city. Experts, creative thinkers, and inspiring personalities in a variety of fields such as engineering, design, Science, and technology, will share how they use math in their professions. This program is suitable for students in upper elementary and middle school. Take a step towards healthy living and staying fit by joining the walk with a Doc every Thursday of every month. These free walking trails do not require reservations. Walk with a Doc is a Spring Preserve’s special event led by University Medical Center physicians who encourage healthy physical activity in people of all ages. During the nature walk, a doctor will give a brief presentation on a health-related topic then lead participants on a walk at their own pace. Springs Preserve also has the Walk with a Doc: Kids Time which is on every second Sunday of every month. This program offers families with children and adolescents the opportunity to meet with pediatricians from the Nevada Chapter of the American Academy of Pediatrics. A discussion on a health-related topic takes place then a chance to walk outdoors with other families and health care providers. Come and appreciate the beautiful collections of watercolor paintings from the Nevada Watercolor Society Spring Show. Springs Preserve holds this event from April 12 to June 10, 2018, at 9 am to 5 pm at the Origen Museum which is also known as the Big Springs Gallery. It is free for members or with paid general admission, and no reservations are required. This exhibition showcases the artwork of prominent local watercolorists in various subjects such as still life, abstracts, portraits, and landscapes. The earn a nature badge program is designed with multiple levels, which will build skills and competencies for up-and-coming scientists. As visitors participate in the missions that make up the program, they will build science, communication, and technical skills. The event is held daily, from 9 am to 5 pm at the Nature Exchange. Admission is free for Springs Preserve members or with paid general admission. Every month you complete a new booklet and earn a badge that shows what you learned. You also move from one level to another in each month. Discover the natural heritage and plant diversity of the Springs Preserve Botanic Garden with a knowledgeable guide. The guided walks are organized in small family groups or as individuals. Held every Saturday and Sunday at 10:30 am, 12:30 pm and 2 pm. We meet up at the Gardens Center near the entrance to the Gardens and begin the nature walk with the experts through the beautiful Botanical garden. It usually takes approximately 45 minutes. Admission is free for Spring Preserve members or with paid general admission. No reservations are required but tour dates and times subject to change. Día Del Niño is Mexican meaning children’s day. It is an annual holiday held to honor childhood and celebrate children who represent the dreams and future of every community. At Springs Preserve it will be celebrated on Saturday, April 28, 2018, at 12pm to 5pm. No reservations are required but we do recommend purchasing tickets in advance to avoid a sell-out. The day will be filled with kid-friendly activities such as games, candy, music, live performances, magicians, cooking demonstrations, crafts, face painting, and a petting zoo. Springs Preserve welcomes little ones every Thursday from 11am to 11:45 am for fun activities and stories, with new themes every week. With free Admission for members and paid general admission. Children have a natural yearning for physical activity. The benefits of being physically active include building confidence, strengthening self-esteem, better memory and improves sleep. The location for toddler time is at the Partnership Office. On every third Thursday of the month from 5 pm to 8 pm join us for Divine Cafe’s Happy Hour. Then stay for after-hours fun and discounted admission in Origen Museum. Divine Cafe will be presenting live entertainment and different fairly priced food and cocktail drinks. The gift shop also closes late during third Thursdays so visitors can shop for unique gifts including jewelry, educational books, clothing, games, and Springs Preserve souvenirs. Springs Preserve has partnered with Vegas Public Broadcasting Service to show broadcasts from their 2018 Indie Lens Pop-Up series during Third Thursdays. The lineup features new documentaries that take viewers across the country and through our country’s past and present. For more information, click here. Join Chef Steve Piamchuntar at Divine Cafe’s kitchen for exceptional hands-on classes to learn the art of preparing and serving Japanese cuisines. Also, learn all the essentials of a traditional Japanese kitchen. The classes are on Friday, April 20, 2018, from 6:30 pm to 9:30 pm. Admission is $80.10 for members and $89 for non-members. Gratuity is not included, and cancellations are not allowed. Reservations are required since there is limited seating. Springs Preserve Ice cream festival takes ice cream to a whole new level. Treat yourself to the innovative, and exclusive ice cream creations and flavors from your favorite local manufacturers. The ice cream festival is on Saturday, May 12, 2018, from 10 am to 4 pm. 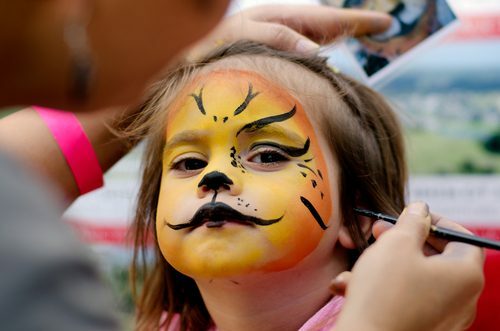 The day will be filled with family-friendly activities from face painting, to storytelling, carnival games, superhero training, a bubble play station, crafts, ice cream eating contest, and more. At 11:30 a.m., 1:30 p.m. and 3 p.m. there will be the Kids Cactus Ice Cream Lesson for just $3 per child. Children will learn the science of making ice cream, learn about the edible parts of a cactus, and create their ice cream flavor. Admission for Non-members is $10 for adults, $8 for children of ages 3-12. While members pay $9 for adults and $7 for children. It is Free for ages 2 and below. Silver State Pass, Gold and Platinum members receive free admission. No reservations are required, but this event is highly likely to sell out, we recommend purchasing tickets in advance. Enjoy ice-cold brews on tap as you listen to cool blues at Springs Preserve. The beers are from regional, national, and international brewers. The Brews and Blues will be on Saturday, May 19, 2018, from 4 pm to 8 pm. Admission to Non-members is $35 in advance and $40 on the event day, $75 for VIP, and $15 if you require a designated driver. We recommend purchasing tickets in advance to avoid a sell-out. For every ticket you buy it includes unlimited beer tastings, and commemorative mugs will be available to the first 1,900 guests. This event is for visitors aged 21 and above. Indulge in the best Sunday brunch, featuring a vast selection of best local and international cuisine. Try out the unique and sumptuous food at Divine café. Sunday brunch starts at 10 am to 4 pm. Food and beverage prices vary, and no reservations are required. The full brunch menu entails breakfast favorites including chicken and waffles, eggs benedict and our famous Monte Cristo plus mimosas, Bloody Marys and other festive beverages. This program is recommended for boy scouts who want to become better citizens of the World. To earn the Scout Quest Merit Badge, you must be willing to recognize and appreciate the values, customs, and concerns of people from other countries. The Scout Quest Merit Badge, Citizenship in the World will be held at Springs Preserve on June 16, 2018, from 8:30 am to 2:30 pm. Admission is $15 per participant. Reservations are required since only limited seats are available. It will be led by certified counselors. Boy Scouts should come dressed in field uniforms and must bring a printed merit badge worksheet. Get water smart with free drip irrigation classes taught by experts from the Southern Nevada Water Authority in partnership with the Springs Preserve. Through these classes, you will learn how to save water and maximize nutrients consumption by allowing water to drip slowly to the roots of plants. The next drip irrigation classes take place on Saturday, April 21, 2018, from 9am-12pm. With more classes on May 5, May 26, June 9, July 14, August 11, August 25, September 8, September 29, and October 13 Reservations are required. This free lessons at Springs Preserve will equip you with technical basics to design and install an efficient irrigation system. Learn how to set up a complete system and how to connect it, including how to select and assemble the parts. The lessons are conducted in Spanish and include building a sample drip system in the classroom. Study how easy it is to save water and have attractive plants. The classes begin at 9 am to 12 pm, Saturdays: June 23, August 18, and October 20. Reservations are required. The class is free, but you need to register at 702-822-8422. Springs Preserve presents entertaining as well as educational films in the 156-seat Big Springs Theater every Saturdays and Sunday of the year at 3 p.m. Films change each month and are usually combined with Origen Museum exhibitions and activities. Admission is free for members or with paid general admission, and no reservations are required. Springs preserve adventure camps are a great way for children to discover a passion for the outdoors. Join us for life-changing adventures. Adventure camps are on Mondays to Fridays from June 4 to August 10, 2018, starting at 9 am to 4 pm. Admission is $200 per week for members and $225 for non-members. Extended care is available from 7 am to 9 am and from 4 pm to 6:30 pm for an additional fee of $50. If you register before April 30, you stand a chance to save an additional $10 per week. Reservations are required because limited spots are available. Children aged 6 to 12 can choose from ten different amazing adventures. Each week features new, educative and nature-based adventure themes. Kids will also get an opportunity to act with Drama Kids International, go for swimming on Fridays at YMCA, go on field trips on Wednesdays, explore nature through hands-on learning with our garden gurus and naturalists, do fun crafts, and play games. This is Springs Preserves latest exhibition. Nature’s Ninjas features animals that thrive in their natural habitat. This is an opportunity to get up-close-and-personal with the animals such as snakes, hedgehogs, scorpions, tarantulas, salamanders poison dart frogs, and opossums. Nature’s Ninja is held from June 10 to September 3, 2018, from 9 am to 5 pm at the Origen Museum. Admission is free for Springs Preserve members or with paid general admission. No reservations are required. Experience and learn the incredible defensive skills of some of nature’s coolest animals. Attend the annual Autumn Plant Sale and discover a varied selection of water-saving and desert-adapted plants. The sale will take place at the South Parking Lot on Saturday, September 15, 2018, from 8 am to 1 pm, but Springs Preserves members receive early admission at 7 am. Admission to the sale is free however regular admission prices apply for museums and galleries, which open at 9 a.m. No reservations are required. Native and drought-tolerant plant species will be sold in container sizes ranging from one to fifteen gallons. Experienced garden staff members will be on hand to answer your queries on how to care for your new plants. Springs Preserve presents the Pacific Rim Festival. It is an exciting event that celebrates some of the many cultures from countries located on the Pacific Rim. The festival will be held on Saturday, September 22, 2018, from 4 pm to 8 pm.Ticket prices will be announced closer to the event. No reservations are required, but purchasing tickets in advance is recommended to avoid a sell-out. Popular for its mixture of the various cultures from the countries of Korea, Philippines, Hawaii, Guam, Vietnam, China, Japan, and many more. The Festival will provide a fun day full of live entertainment, music, food, face painting, fun crafts, cultural demonstrations, and workshops. The annual Grapes & Hops Festival. Will be held on Saturday, September 29, 2018, from 5 pm to 9 pm. Ticket prices will be announced closer to the event. Ticket prices include food. No reservations are required. It is wise to purchase tickets in advance to avoid a sell-out risk. Come and enjoy tastings from wineries from all over the World. The Haunted Harvest is a spooky fun-filled event suitable for all ages. Join us and experience a chilling adventure at the Springs Preserve’s annual Haunted Harvest. The family-friendly event offers magic shows, tricks, carnival games, a zoo, fun art and crafts, live performances, and much more. It will be held on October 12-14, 19-21, 26-28, 2018, from 5 pm to 9 pm. Ticket prices will be announced closer to the event. No reservations are required. But we do recommend purchasing tickets early to avoid a sell-out risk. Join us as we celebrate the exciting tenth annual Día de Muertos which means Day of the dead. It is a three-thousand-year-old Hispanic celebration honoring loved ones filled with joy and various ceremonies. The event will be held on November 2nd to 4th, 2018, from 4 pm to 9 pm. Ticket prices will be announced closer to the event. No reservations are required for this event. But we do recommend purchasing tickets in advance to avoid a sell-out. 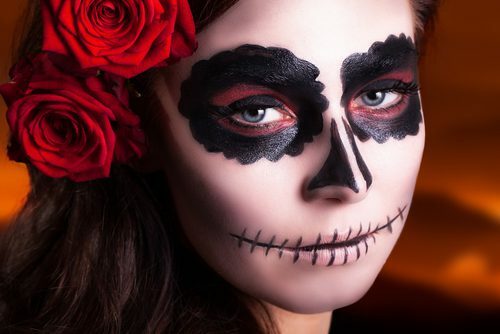 This popular event combines rich traditions with exciting activities including live performances, dance sessions, mariachis, altars, face painting, skull decorating and artwork displays. These events provide an opportunity for families, visitors, and the community an opportunity to come together and experience the Springs Preserve's grounds and facilities through art, music, activities, tours and educational programs.